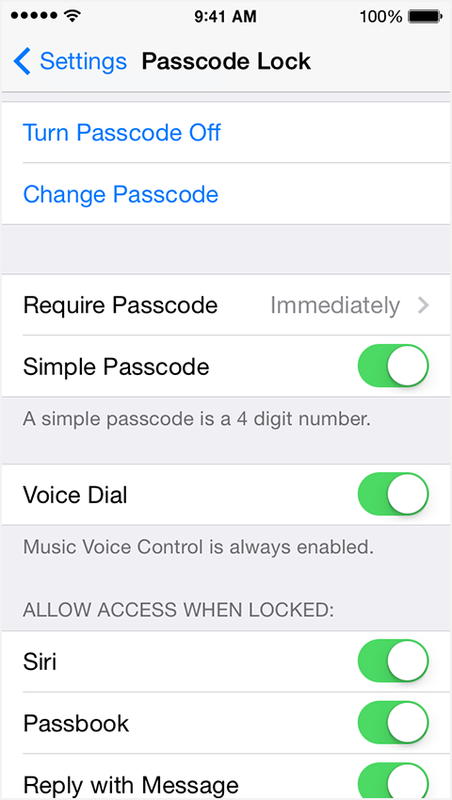 This is how to set up, use, and change a passcode on your iOS device. Setting up a passcode on your iPhone, iPad, or iPod touch is an important part of securing your data. Each time you turn on or wake up your device, it will ask you for your passcode before you can use the device. 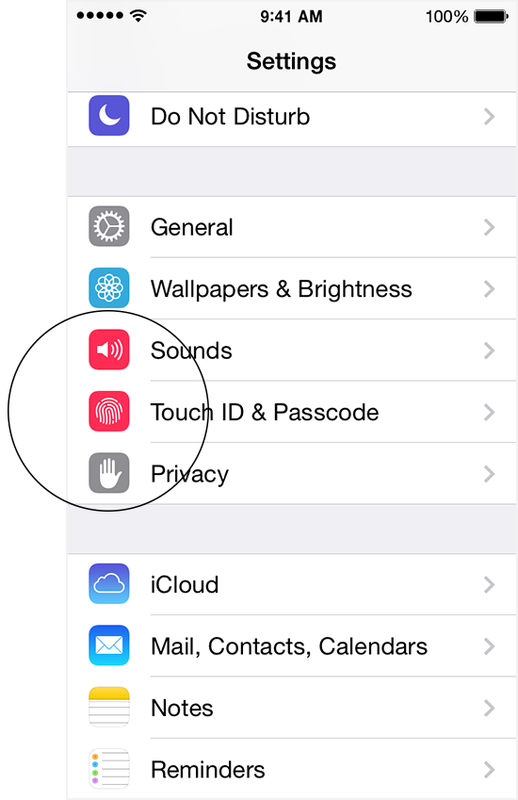 If your device supports TouchID, you can use your fingerprint instead of a passcode. To set up a passcode for your iPhone, iPad, or iPod touch, go to Settings > Touch ID & Passcode (iPhone 5s) or Settings > Passcode (other models) and tap Turn Passcode On. To change your passcode or your passcode settings, go to Settings > Touch ID & Passcode (iPhone 5s) or Settings > Passcode (other models). On iOS 7.0.6 or earlier, look under Settings > General for these settings. Change or turn off your passcode. Require Passcode: Set how long after sleep a passcode is required. By default this is set to immediate, but you can set this to longer times. 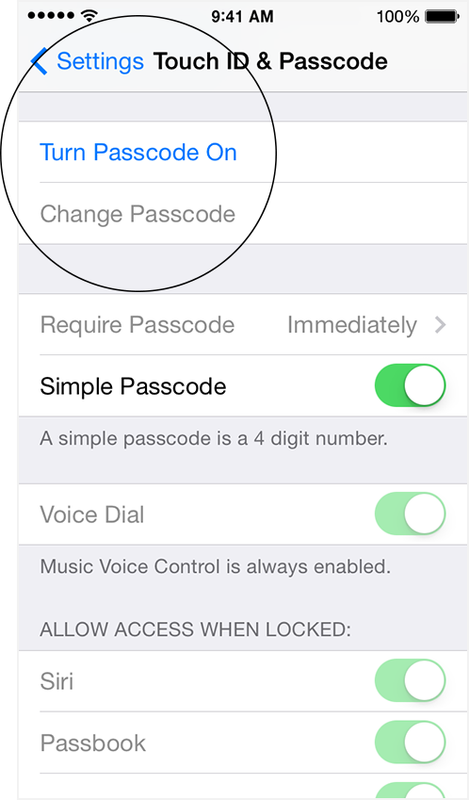 Simple Passcode: Turn off Simple Passcode to set a passcode longer than four digits. Longer passcodes can include letters and symbols as well as numbers. 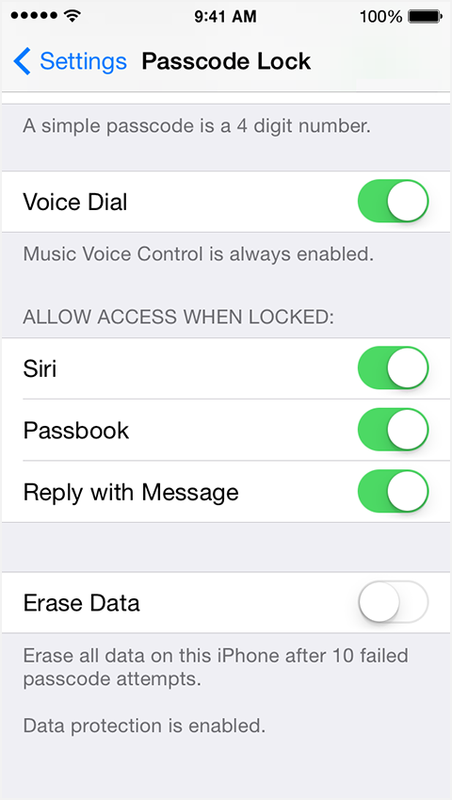 Allow Access When Device Locked: Allow access to some features when your device is locked, including Voice Dial, Siri, and Control Center. Erase Data: Choose to erase your device automatically after ten failed passcode attempts. Can’t turn off your passcode or change passcode settings? Using Touch ID, which requires a passcode. Using a configuration profile that requires a passcode. This is common with business or education devices. Contact your IT administrator for more information.